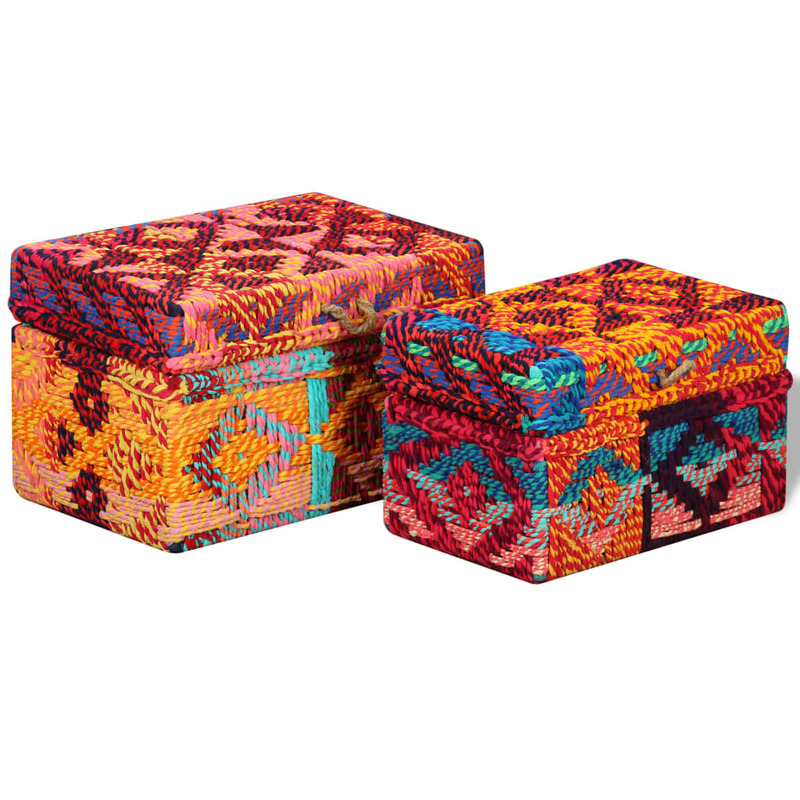 These colorful storage boxes will make a great addition to any living space, and they will help you to keep clutter at bay. 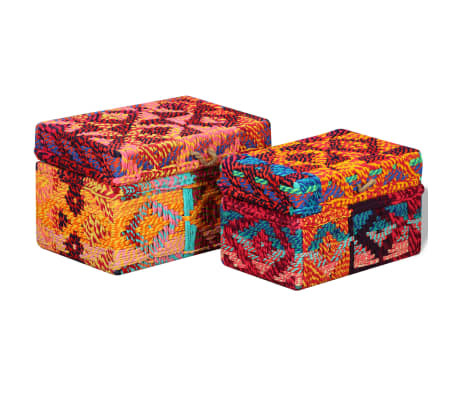 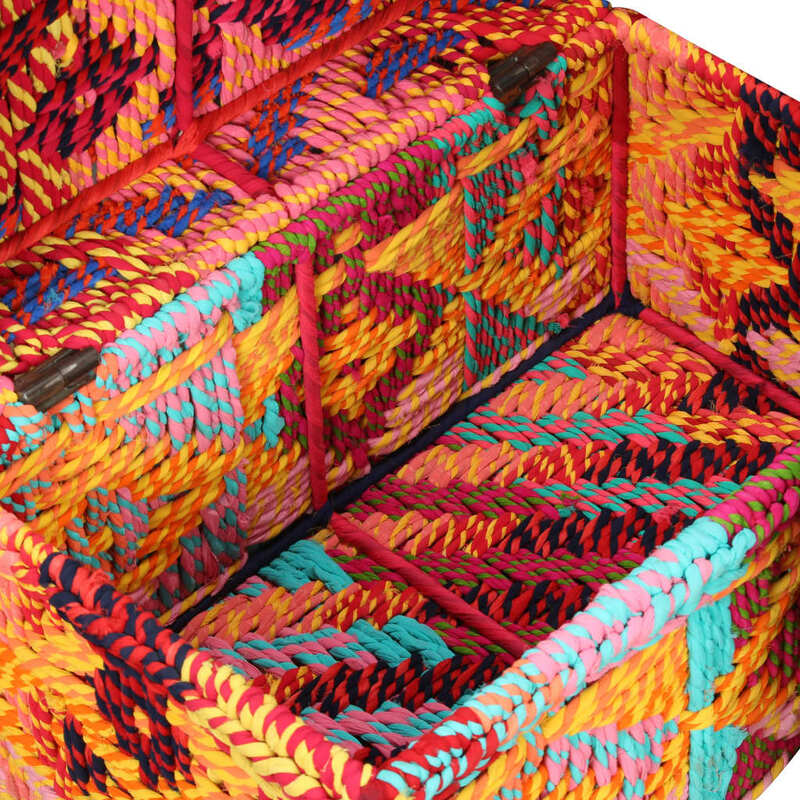 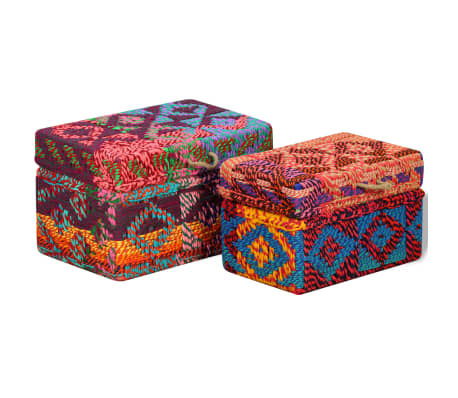 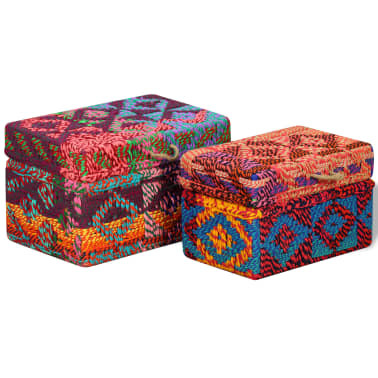 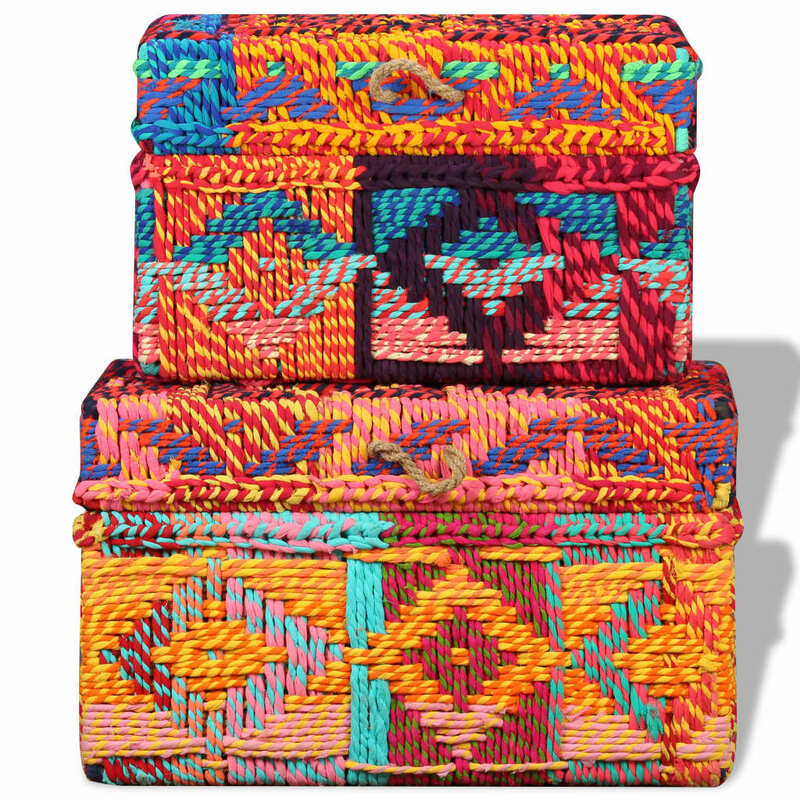 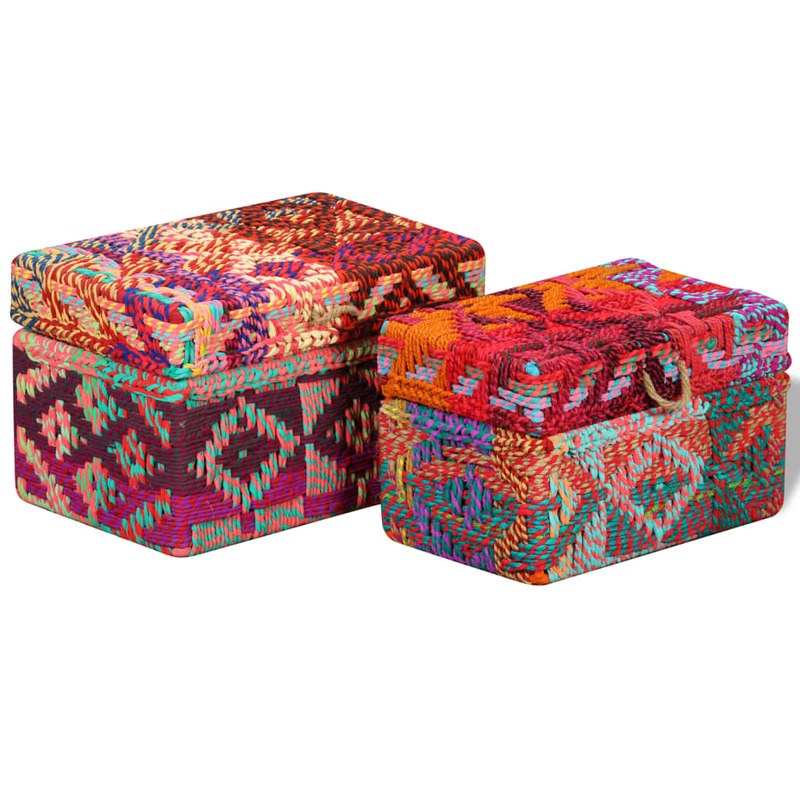 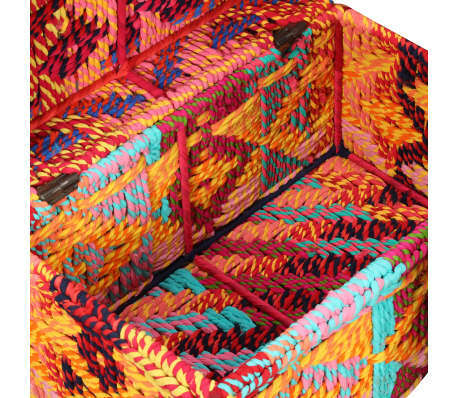 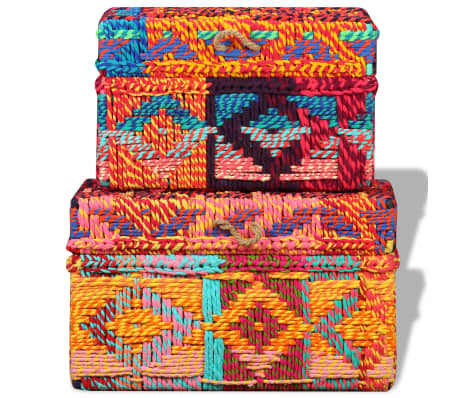 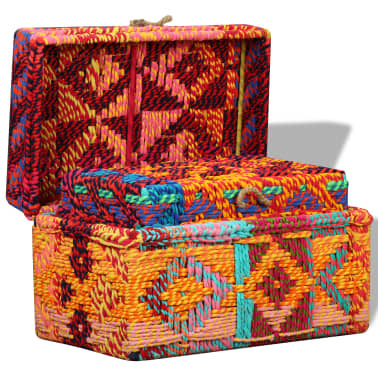 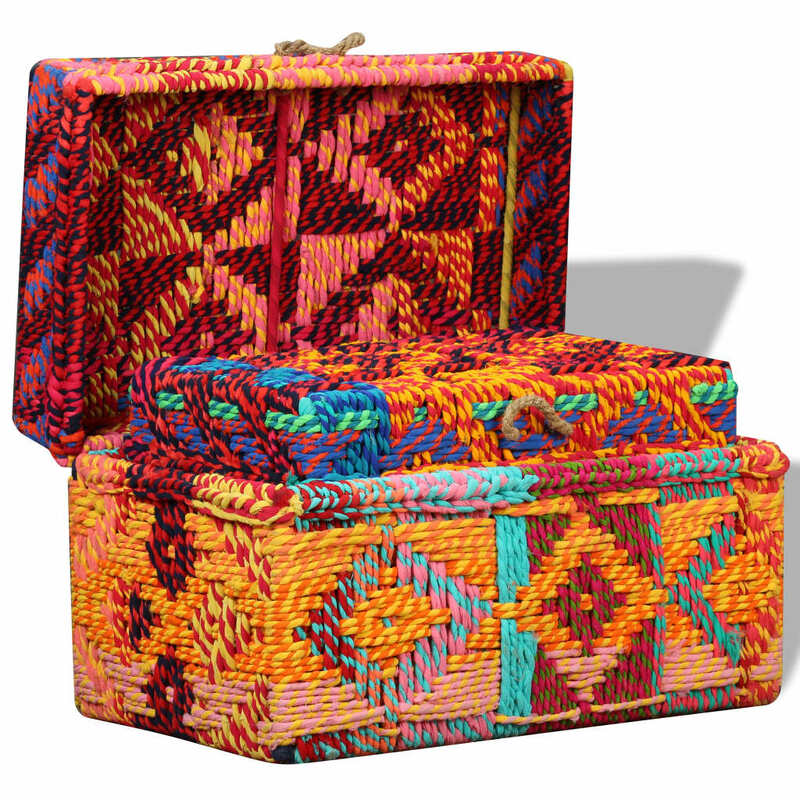 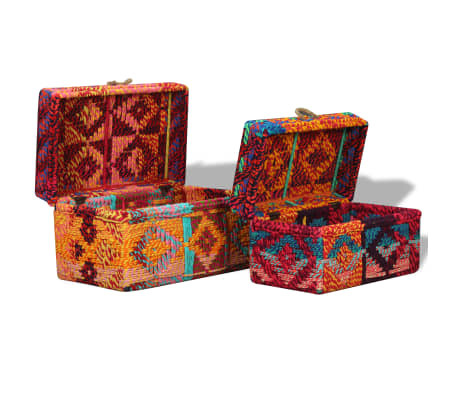 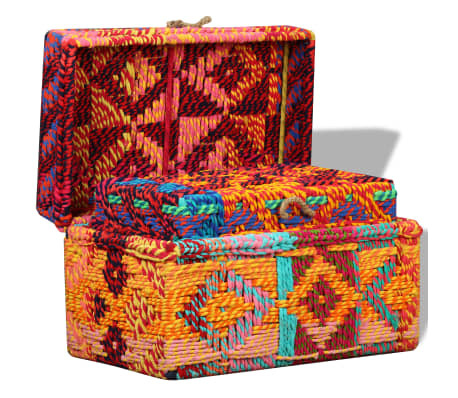 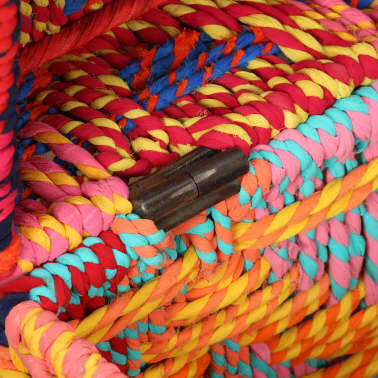 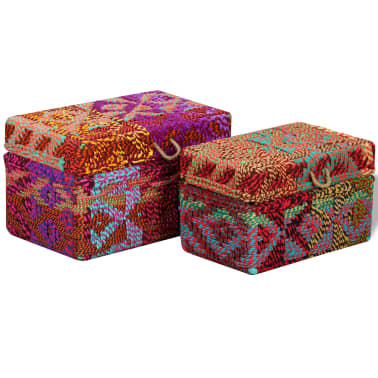 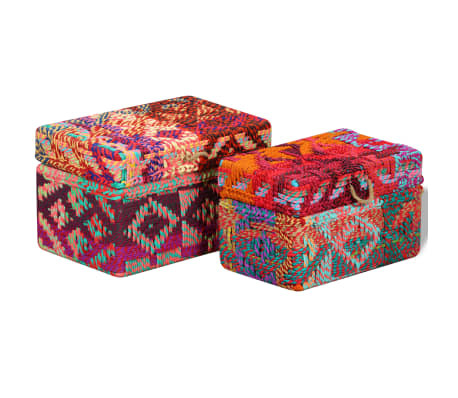 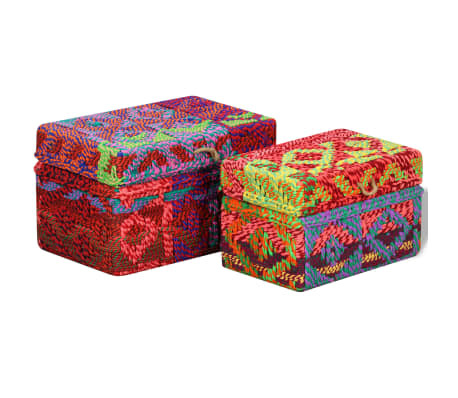 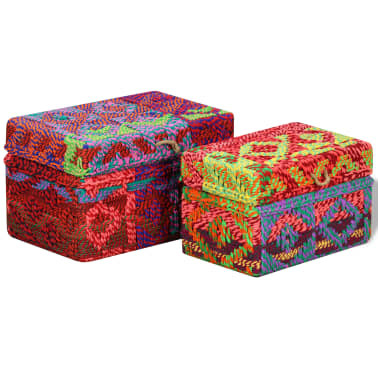 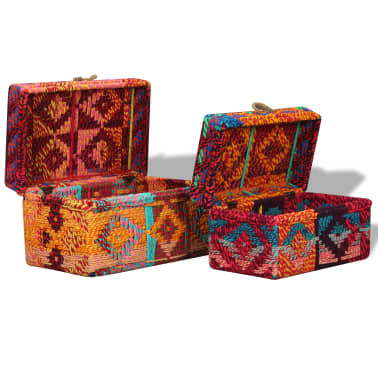 The spacious, hand-knitted chests can be used for storing cushions, children's toys, tools, clothes, and other home accessories, while keeping the contents organized and free of dust. 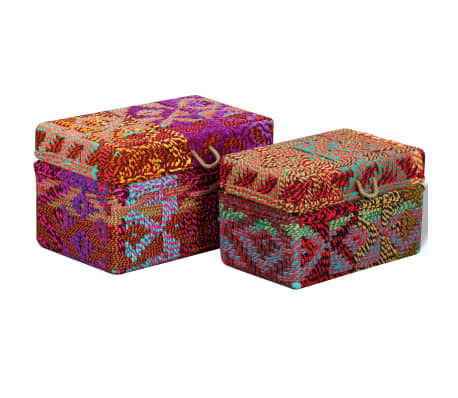 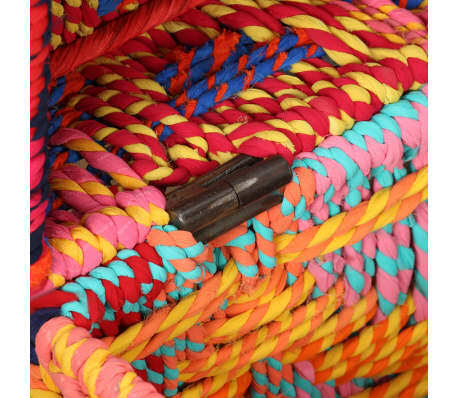 The storage chests have been crafted from beautiful, handmade chindi fabric and will become real eye-catchers in your decor. 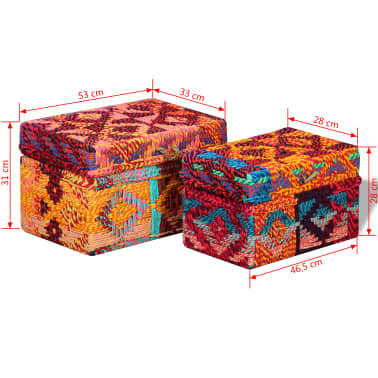 The sturdy steel frame is durable and requires no maintenance. 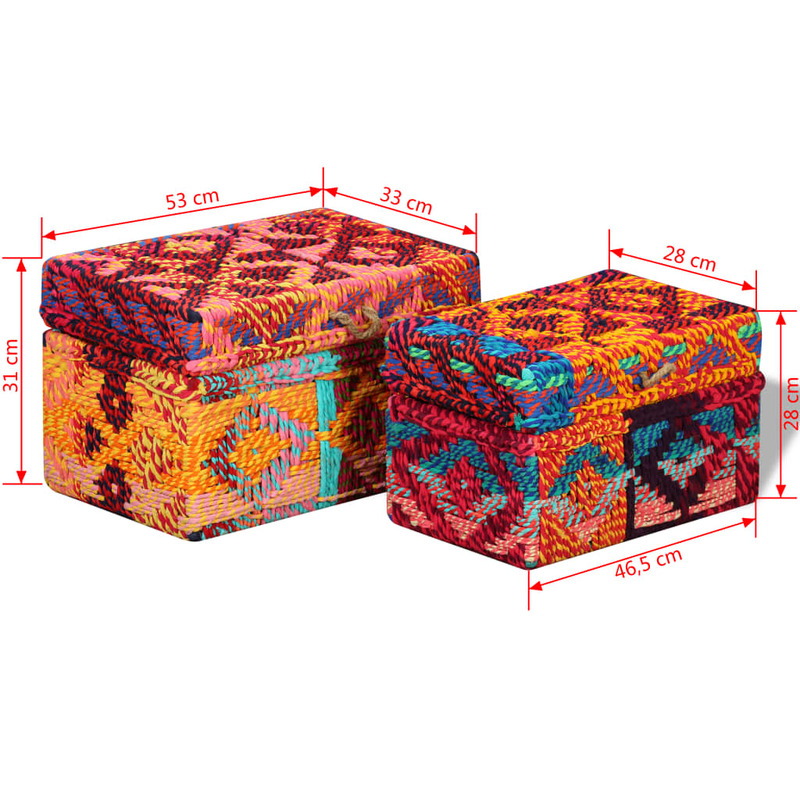 The large top surfaces can also be used for displaying decorative items. Delivery includes two storage boxes.